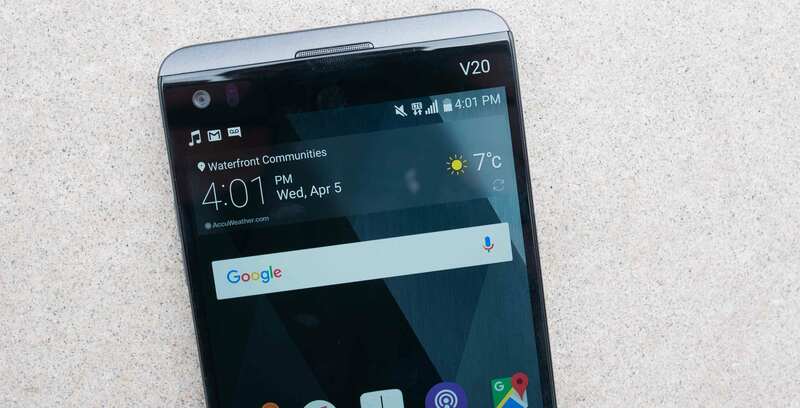 The LG V20 came to Canada slightly over six months ago, billed as the ultimate multimedia device due to its dual-camera setup and 32-bit Hi-Fi Quad DAC (digital to analog converter). 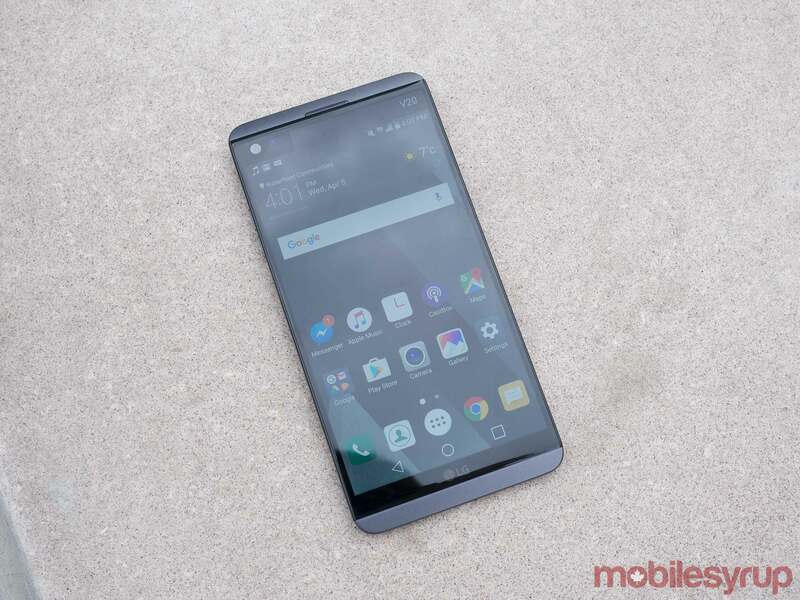 It debuted at Videotron and Freedom Mobile — where it was the one and only device compatible with the carrier’s new LTE network at launch — and has since broadened its reach to Bell, Rogers and Fido. In my first review, I painted a conflicted view of the LG V20 — it was good, but not good enough to compete with the greats (its top competitors at the time being the iPhone 7 and the Samsung Galaxy Note 7). 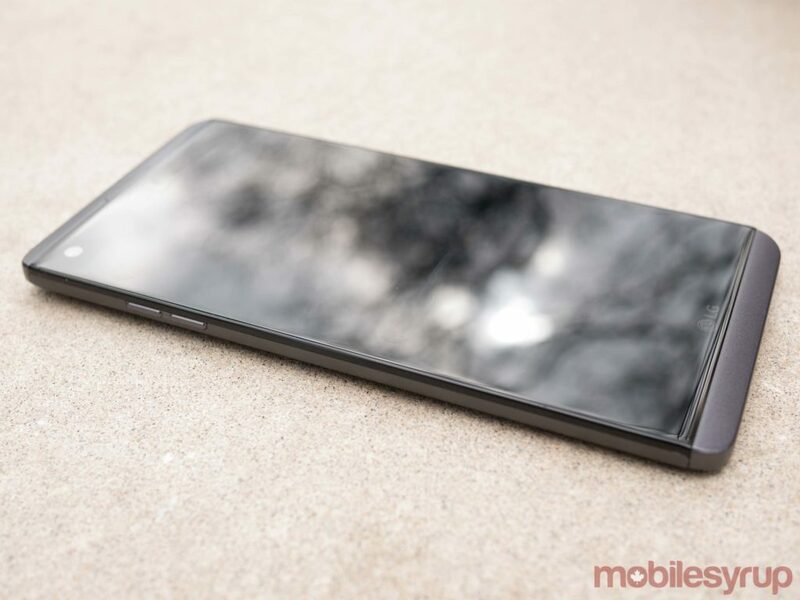 My sentiments were shared, in many ways, by other reviewers, but it’s important to note that most reviewers, including myself, spent the majority of their time with a ‘pre-production’ model of the LG V20 — so a revisit after spending significant time with the production model was long overdue. A lot has changed since then, however. The Note 7 exploded (literally), Apple users lamented ‘the dongle life,’ the Google Pixel launched, Samsung is preparing to rollout its redemption flagship, the Samsung Galaxy S8, and LG debuted its newest flagship, the LG G6. 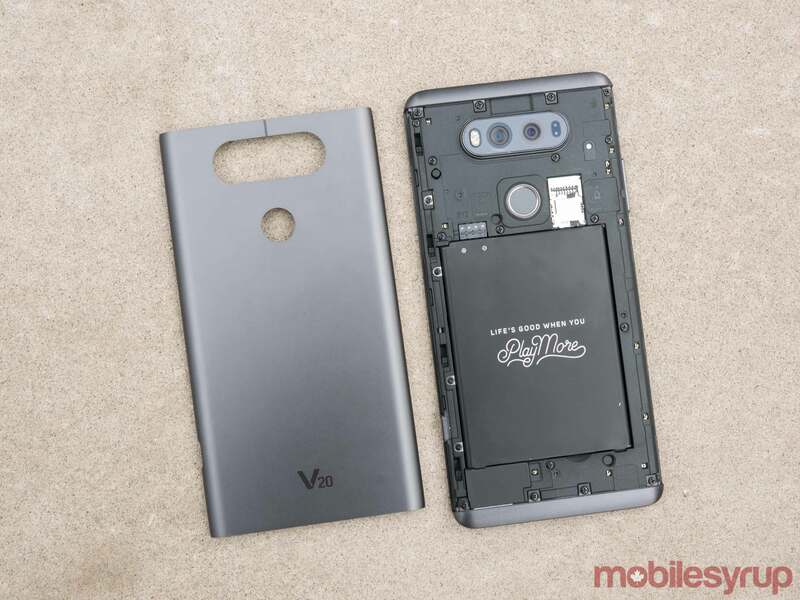 So where does this leave the LG V20? I’ll address that question in this revisit, as well as provide my insights based on three weeks of use with the in-market device. The first thing I noticed switching from the Google Pixel to the LG V20 was the astonishing level of audio quality provided by its 32-bit Hi-Fi Quad DAC (digital-to-analog converter). I spoke highly of the V20’s audio in my review — but I’m not sure I properly gushed. So allow me to now: the quality of sound when listening to music through the Bang & Olufsen BEOPLAY H3 earbuds (provided to me by LG) is astonishing. The clear articulation and immersive quality of the sound turns listening to music into an experience all its own. I have literally sat at home, doing nothing but listening to music with the LG V20. If you’re an audiophile, you won’t get better than the LG V20 and even if you aren’t, you’ll still notice the difference. That brings us to the other main value proposition of this multimedia device, its extensive camera package. When stacking the LG V20’s camera up against other premium devices, I still question whether it can compete — though at least there’s been no more crashing. From a hardware perspective, LG did everything right with its rear-facing camera setup. It has a 16 megapixel rear camera with f/1.8 aperture and OIS (75-degree lens), as well as 8-megapixel rear camera with f/2.4 aperture (135-degree lens), allowing for wide-angle shots that let you to capture more than your eye can physically see. This is an incredibly handy feature, as often when I’m taking snaps I envision the picture being bigger than what a regular mobile camera generally frames. Where the camera strays from excellence is in its indoor and low-light photography. With limited or indoor lighting, photos come out in soft definition and with poor colour saturation. This is particularly true when not using wide-angle mode — the same situation comes out with much less colour saturation. I’ve managed to take some great photos in ideal lighting, but I often find myself in situations where I’m in mediocre indoor light and regret that I don’t have the LG V20 and not the Google Pixel or a premium Samsung or Apple device on me. From a design perspective, I’m always proud to tote the V20. Its minimal, all-metal and the secondary display adds a bit of flash (more on that later). One important thing to note, however, is that it features a wide at 78.1mm. If you have short thumbs, you’ll have a difficult time reaching to the other edge of the device, often necessitating two-handed use or leading to dangerous drops. As a side note, I’d also like to mention that the V20 tough and looks a lot better after drops than the Google Pixel does. I didn’t experience the same issue when testing out the 68.1mm-wide Samsung Galaxy S8, which still manages to offer a bigger display than the V20; 5.8-inches to the V20’s 5.7-inches. The LG G6 offers an improvement — though more minor than Samsung’s — in that category as well, with a 71.9mm width and 5.7-inch display. At 67.1mm wide, the iPhone 7 is far reduced from the V20 and even the iPhone 7 Plus comes in at a smaller 77.9mm. As for the double screen, I’m backtracking on its usefulness. Throughout the two weeks I’ve spent using the LG V20, I’ve never once found an instance in which I’ve found it added to the phone’s experience. When I want to see the time, my natural instinct is to wake my phone, which is easily done with two taps on the display. When it comes to quick-launching apps, the little screen is too small for my fingers to reliably tap the correct app, so instead I tend to avoid the lineup in favour of my regular browsing habits. Beyond all that, the second screen is too high up to easily reach while using the V20 in one hand. 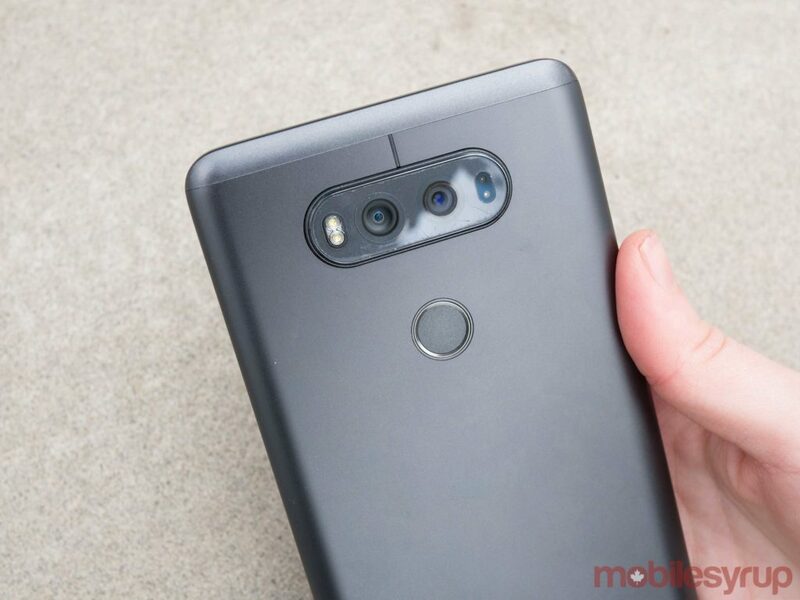 When I was working hard to use the feature at the beginning of my time with the V20, I saw potential, but now that I’m deeper into daily use I just can’t see the point. In my original review when I spoke about performance I noted that most of the time it ran superbly on its Snapdragon 820 chipset and 4GB of RAM, but then sometimes, often randomly, apps would crash. That issue has persisted, with the same apps that I noted before: Apple Music and Google Maps, as well as the Google Play Store. Additionally, I’ve run into several instances where apps haven’t loaded properly or took a long time to load. I should specify, this isn’t a rampant issue, but it does happen more than most other Android flagships I’ve tried with the Snapdragon 820 chipset, including the Samsung Galaxy S7 and HTC 10. The battery life provided via the LG V20’s 3,200mAh unit is, in my use case, a full day — but just by a small margin. Most of the time, when 9pm rolls around, the phone’s about to die or has just died. My usage, I’d say, is medium-high. Multiple hours of music streaming (both on data and Wi-Fi) and two hours or so of data browsing are my most energy consumptive practices. For most premium smartphone users, a day’s battery life is standard, though, and while other flagships may give you a bit more to run into a long night, typically you’ll be plugging in during the evening either way, so it’s not a big downside. The phone continues to run a little hot when charging, however. As for the user experience, time has not improved my relationship with LG’s UX 5.0+ skin. I still find it to be too invasive, in both form and function and would prefer a stripped down, near stock Android experience. For instance, I find if unfortunate that you can’t swipe right to get to the Google Now screen from home. 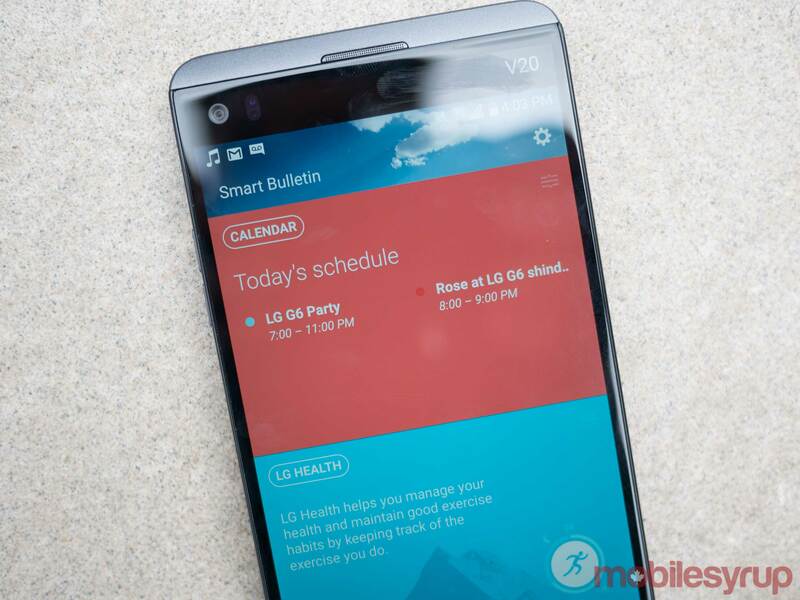 Instead, you either see a stretchy screen animation or can enable ‘Smart Bulletin,’ an LG proprietary feature that shows you your calendar and provides you with access to ‘LG Health,’ ‘QuickRemote,’ ‘Evernote,’ ‘Smart Settings’ and LG’s music app. The feature, as you might be able to tell from its offerings, does little to replicate Google Now’s handy functionalities. While I consider that a major downside, if you care little about stock Android — or have never experienced it before — this may not be a point of consideration for you. After all, there’s nothing intrinsically broken about the skin. It just pales in comparison to the simplicity and ease of use that users can experience with an iPhone or Pixel. In sum, my perspective hasn’t greatly changed. The LG V20 is still a great phone, but not great enough to knock anyone off their pedestals in any category except for audio and, unfortunately for the company, great audio isn’t generally what sells phones. Keep a look out for our LG G6 review, coming soon, to see if the manufacturer can surpass the G5 and V20 to create a compelling all-around premium smartphone package. Find my original review of the LG V20 here. Photography contributed by Patrick O’Rourke.